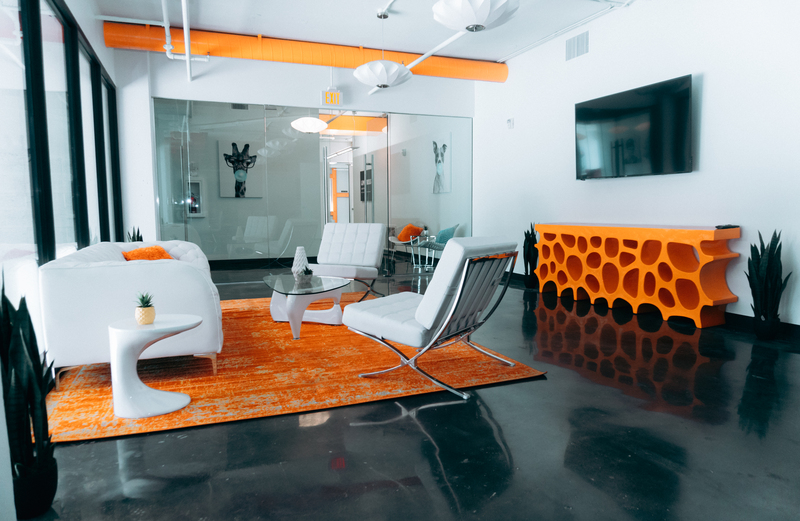 Las Vegas, NV- Office1 has moved into our new headquarters in the heart of Downtown Las Vegas. The building located at 720 South 4th Street was formerly known as the Deaner Law Building. 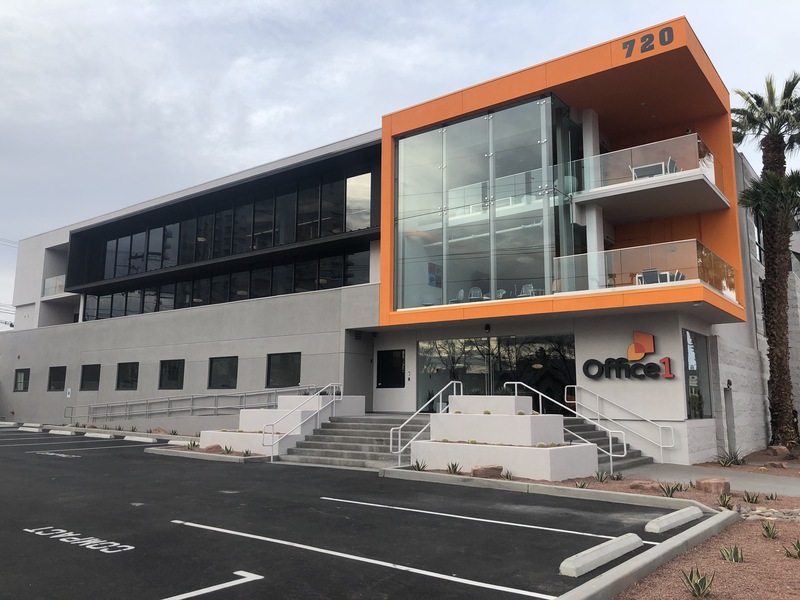 The spacious three-story property has over 30,000 square feet of office space and over seventy on-site parking spaces, positioning Office1 as a catalyst for sustained growth within Downtown Las Vegas. 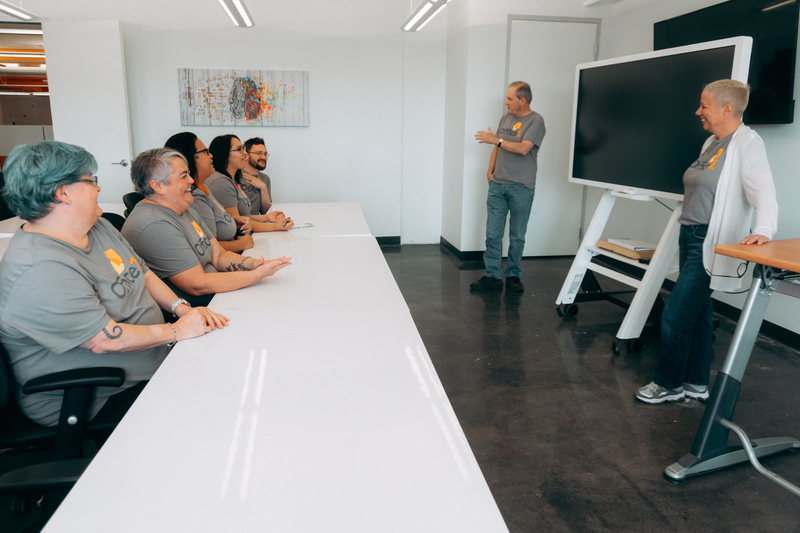 We currently employ over 50 people in Las Vegas and plan on adding another 100 as our DTLV headquarters comes to full operation. After quickly outgrowing our former home at 3930 Ali Baba Lane, we elected to convert our former headquarters into warehouse space and bring our operations, service, and sales teams together under a single roof to further enhance the customer experience. 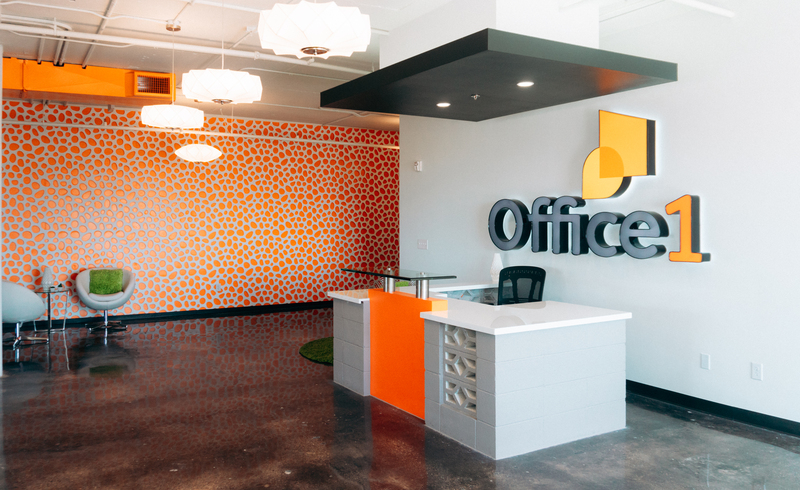 The new office is much more than a facelift for our growing business workspace. We are leveraging our new home to revolutionize the way we service our customers through the development of our remote service technician team, our own ongoing digital transformation as a business technology services leader and our commitment to creating services that aide companies towards technological modernization. "We saw a great opportunity to partner with our local community sharing a similar focus on growth. 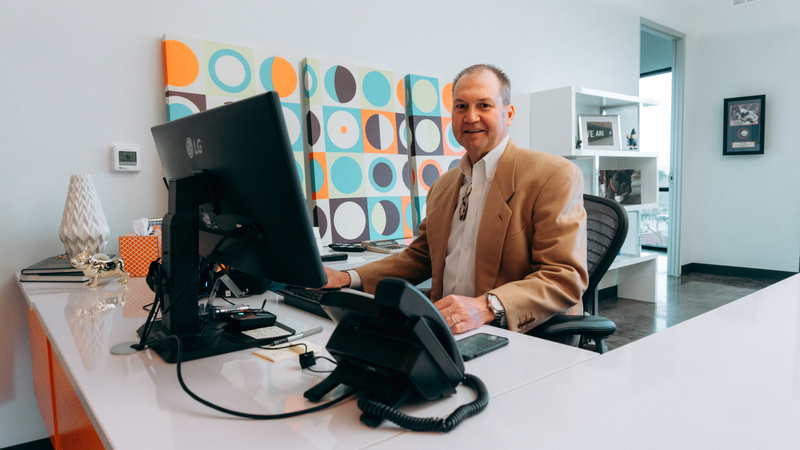 “We were quickly outgrowing our previous space, which created the opportunity for us to really invest into our team – and our customers - with this new space and, at the same time, make an investment into the Downtown Las Vegas community as well,” said Todd Rogers, Office1’s CEO and President. The remodel was led by renowned architectural firm NOVUS Architecture and features a contemporary design fit for the urban fabric of Downtown Las Vegas. Our new home emphasizes collaboration featuring large, visible conference rooms, a fitness center, training rooms, a warm reception and lobby area, outdoor decks, executive offices, and ample modern art adorning an open layout. “We really wanted to create a space that would help us foster creativity and collaboration as we continue to grow,” Rogers explained. 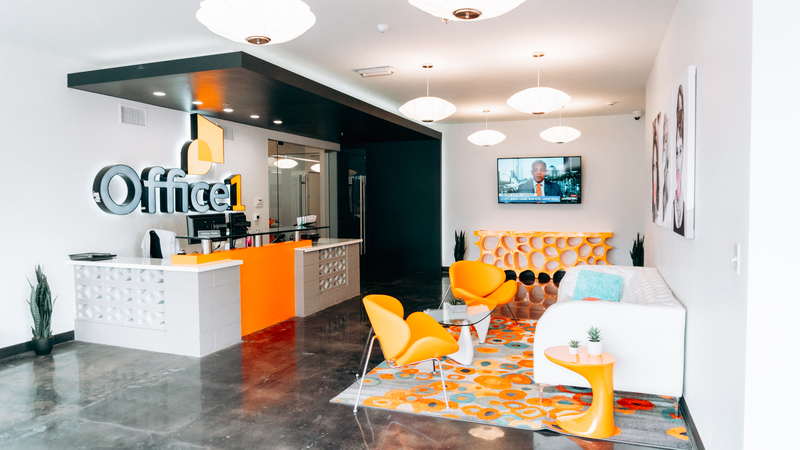 “We’re committed to providing a first-class employee experience and want our team to maintain an entrepreneurial spirit.” Each of the three floors also features a “chill out room” containing bean bag chairs, big screen TVs, and ping pong tables to help foster community among Office1 Employees. Chris is a dedicated and crafty wordsmith as well as a charming and chivalrous gentleman. He is known far and wide as a king of karaoke with an uncanny ability to quote movies and lift spirits.